A new report from the Urban Institute says so-called mission lending – non-traditional financing – played a little-noticed role in Detroit’s recovery. Here are a few takeaways. Mission lending in Detroit increased from $13 million in 2013 to an average of $147 million per year from 2007 to 2015, helping keep the city afloat when mainstream financing withered following the real-estate crash that began in 2007. Mission lending, together with government subsidies, provided or leveraged 42 percent of investment in commercial, industrial, multifamily and institutional real estate from 2013 to 2015. Most investment is concentrated downtown and Midtown. The report says that, in order for Detroit’s comeback to continue, mission lenders must assist neighborhoods outside downtown. Turns out, there could be something to perceptions about “two Detroits” after all. The Urban Institute, a nonprofit Washington D.C. think tank, issued a report Tuesday that concludes tax subsidies in Detroit have disproportionately favored downtown and Midtown. Those areas received 57 percent of state, federal and local tax subsidy investments from 2013 to 2015, even though they only contain 46 percent of the city’s 245,000 jobs, the report found. “This combination of growth downtown and more limited investment in outer neighborhoods … can make Detroit appear to be a ‘tale of two cities,’” the report said. But Brett Theodos, the lead author of the report, told Bridge there’s a good reason for the discrepancy. Private investment and tax subsidies follow jobs. And they’re clustered in downtown and Midtown, particularly white-collar ones. “If you look at the amount of investment per job per neighborhood, it doesn’t look like downtown is getting outsized levels of investment. That’s the one hand,” Theodos said. In any other year, and perhaps any other city, the finding may not get much attention. Much of the report focuses on how Detroit’s revival was aided by mission lending, loans with a social purpose, often backed by philanthropies when traditional ones aren’t available. But the “two Detroits” narrative is so controversial – and a theme in the campaign between Mayor Mike Duggan and challenger Coleman A. Young II – that the tax subsidy breakdown is sure to spark conversation. Theodos said that was his intention. “We want to feed into larger discussion about whether resources have been overly spatially concentrated,” he said. For Young, there’s no debate. “Nobody who lives in neighborhoods could be surprised by this report,” he told Bridge. RELATED: Welcome to the New Detroit, white people. So long, poor folks. State Sen. Coleman A. Young II is challenging Duggan for mayor in the Nov. 7 election. He says neighborhoods are suffering. John Roach, spokesman for Duggan, said Monday the report only “tells part of the picture” because it doesn’t include other significant investments to neighborhoods, such as demolitions of some 11,000 dilapidated homes. Even so, the findings validate the city’s strategy that led to the Midtown comeback and will be replicated in neighborhoods such as Livernois in Northwest Detroit, said James Arthur Jemison, director of housing and revitalization for the city. The Urban Institute is studying Detroit as part of finance giant JPMorgan Chase’s $100 million, five-year investment in the city following the nationwide real-estate crash. The city’s central business district received a majority of overall investment from 2013 to 2015: 53 percent of traditional commercial, industrial and multifamily loans and 62 percent of mission lending. Discrepancies in traditional lending intensified since the Great Recession. From 2004 to 2006, Midtown and downtown received 21 percent of private commercial loans in Detroit; the amount doubled to 42 percent from 2013 to 2015. 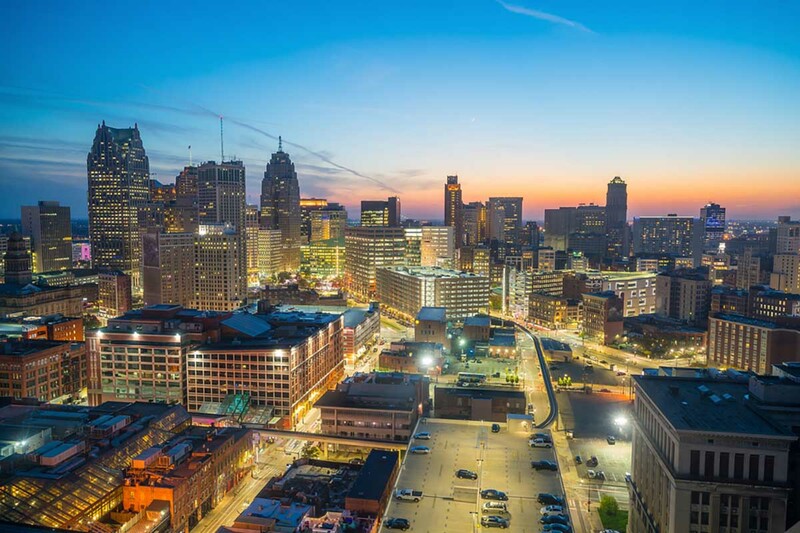 During that period, local, state and federal subsidies contributed $518 million to redevelopment of commercial, industrial and multifamily projects in Detroit. The report underestimates the total amount of subsidies. It’s limited to federal low-income housing tax credits, federal and state historic tax credits, programs from the Michigan Economic Development Corp. and city tax increment financing. It doesn’t include a handful of federal subsidies, including Community Development Block Grants, and its city data was limited. The Urban Institute report is the latest in recent weeks to fuel a “two cities” narrative that Duggan told the Detroit Free Press in August is a “fiction” created by the media. Downtown versus neighborhoods has been a recurring issue in mayoral elections for decades. But it’s particularly acute for Duggan, who advanced in last month’s primary against Young with 67 percent of the vote. In May, speaking to business and government leaders on Mackinac Island, he said his guiding principle is “one city for all of us.” His administration has rolled out several neighborhood-friendly initiatives, from small business incentives and mortgage loan programs to walkable neighborhoods and a website devoted to neighborhood stories. Jemison, the city’s housing and revitalization director, said that investment and tax subsidies are beginning to be spread more evenly throughout the city. The report began when the city was at absolute rock bottom, the 2013 bankruptcy. “Over the next few years when you look at the (investment) map, there will be a few more bright spots in the area,” Jemison said. Young said Duggan “should be ashamed” by the condition of the neighborhoods, pointing to tens of thousands of water shutoffs and tax foreclosed homes. RELATED: Sorry we foreclosed your home. But thanks for fixing our budget. 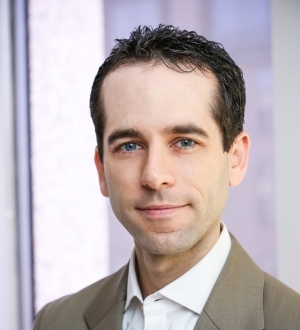 Brett Theodos is the lead author of an Urban Institute report that shows tax subsidies from 2013 to 2015 have disproportionately favored downtown and Midtown. Theodos of the Urban Institute recommended government policy makers and philanthropies enact a handful of reforms to ease mission lending in neighborhoods. Among them: easing rules about tax subsidies to make them easier to use on smaller projects; providing technical help and money to nonprofit community groups and streamlining City Hall regulations on zoning and code enforcement. “There’s a lot more work needed if this (revival) is going to filter beyond the most easily accessible and developable parts of the city,” Theodos said. A lot of words sound good, but a municipality can only do so much for a Residential Neighborhood that is ridden with Generational Poverty other than to provide basic city services of lighting, garbage pick-up, roads, police-fire-ems services, and management of Federal & State Health and Entitlement Programs. Why would there be significant private investment or tax breaks for Generational - Comfortable Poverty areas? A community or school is as good as its residents. If you read about the 2008 recession, one of the many causes was the federal government insistence that large banks make loans available to parcels that would not otherwise qualify for lending (the Clinton program to increase home ownership, particularly in depressed areas). As expected, a large number of these loans defaulted. To prevent another recurrence of a recession, government should refrain from forcing private institutional lending in parcels that the institution deems unacceptable. easily find a link allowing me to download the report. Posting a link for those of us who wish to read the entire report would be helpful. Hi there: There is. It is included in the story, but it's not probably not obvious enough. No mention of the federal investigations around using Hardest Hit money that could have saved Detroit residents from foreclosure, instead using for demolitions, which have a lot more potential for kickbacks than keeping people in their homes provides. No mention of the closing of schools and the tax paid arena, for which Ilitch Holdings holds profits in perpetuity. No mention of poor people forced to take buses that may or may not come, while the little train transports a few people up and down a three mile track. No city that governs for its own people, and not billionaires would make such decisions. No mention of the financial review board that makes decisions that white cities' governing bodies make. Other than that, it's a pretty good article.